SALT LAKE CITY, Utah (June 18, 2018) – Despite limited help from Mother Nature during the 2017-18 ski season, Utah ski areas posted their sixth best season in terms of skier visits. Starting Nov. 21 at Brighton Resort and ending May 13 at Snowbird, visits for the season totaled 4,145,321 - down 9.6 percent from last season’s all-time record and even with Utah’s 10-year average. Nationally, skier days were down slightly to 53.3 million, a 2.8 percent decrease from last season’s 54.8 million. Snowfall, an important metric in driving visitation, was down in most regions across the U.S. Statewide Utah snowfall totals were just 60 percent of average, with Wasatch valley temperatures three to five degrees above normal during the ski season, according to Brian McInerney, hydrologist with the National Weather Service. 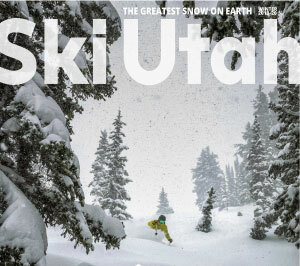 Despite the decline in visits, total ski/snowboard-related spending in Utah remained strong at $1.322 billion versus last year’s all-time record of $1.431 billion, buoyed by out-of-state per skier expenditures rising from $309 per capita per day last year to $337 in 2017-18. Utah resident per day spending remained flat at $107 per capita per day versus $106 last year. *The National Ski Areas Association defines ‘skier days’ as one person visiting a ski area for all or any part of a day or night for the purpose of skiing/snowboarding.